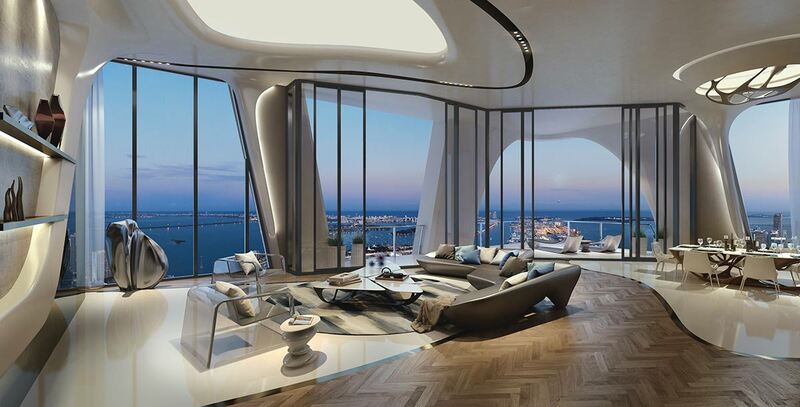 Above and beyond luxury real estate, wealthy families have an overall vision when it comes to the organisation of their day-to-day life. Aft er acquiring their primary residence in a renowned international city, they will build up a portfolio of secondary residences that meet practical, emotional and fi nancial criteria. The most entrepreneurial among them will then combine passion and an entrepreneurial spirit, investing in properties that allow them to live out these passions such as hotels, hunting estates, horse farms or vineyards. Investments in many other areas of passion such as art, yachting, sailing and collectible cars combine lifestyle with entrepreneurial spirit. In terms of investment, wine is one of the rare products that amalgamates pleasure and investment. This combination of factors has led affluent investors to make significant acquisitions in vineyards since the 2000s. Competition between investors and their fervent bid to get their hands on the most impressive international vineyards has caused the price of vineyards to rocket. One example of this is the acquisition of the Clos de Tart in Burgundy by François Pinault for over 30 million euros per hectare, making this currently the most expensive vineyard in the world. Several strategies exist for making money out of vineyards, creating a label from scratch, turning an estate around and focusing on capital gains on resale, acquiring vast vineyards and working on sales margins, stratifying a brand from the top down, etc. An entrepreneurial approach often taken by investors who have sold their previous company and wish to get involved in a new activity, whether or not they intend to live or stay at their vineyard estate. These battle-hardy entrepreneurs will need to spend 10 to 20 million euros for a Grand Cru spanning 15 to 30 hectares and from 30 million euros for a Cru Classé of the same size in the Médoc region. There are numerous cross-overs between yachting and real estate. A yacht can in fact be seen as a “mobile” second home by the sea. This mobility enables all seasons to be taken advantage of and is also one of the foremost acquisition criteria. But the common features do not stop there. Like residential real estate, the yachting market may involve a fi nancial profi tability strategy based on rental. Using a relatively simple calculation, it is considered that 10 weeks of rental covers the annual costs of managing and maintaining a yacht. This solution is opted for by 80% of yacht-owners. So a yacht can be seen as a way to make money. Firstly by renting it out regularly, particularly for prestigious events. Secondly, just as one would do with a villa or an apartment, by acquiring a run-down property to bring it up to the latest specifi cations, which can yield signifi cant capital gains provided that the operation is carefully prepared. Although the luxury yachting industry is essentially European, the number of buyers is on the rise in the US and particularly in Asia. For example, naval architect Philippe Briand (Vitruvius Yachts), designed the club-house at The Pavilia Bay considered to be the finest real estate project in Hong Kong - drawing upon the aesthetics of yacht design. This takes us full circle, as at the same time, the interior layout of yachts is increasingly based upon the codes of luxury real estate. A natural link exists between luxury real estate, décor, design and the art market. Accordingly, in the United States, the acquisition of any residence, whether new or old, is accompanied by an overall design project. To meet the specific needs of each UHNWI client, it is important to present them with architectural and décor proposals, decoration and services calling upon a multitude of skills and expertise. The goal is to create identities, stories and a history that will come into being within the homes they are designed for. Established in Paris, London, New York and San Francisco, Carpenters Workshop Gallery - considered to be one of the most influential in the world for interior design - is the perfect illustration of the breaking down of previous divides between these areas that everything brings together. Its credo is simple, to do away with the borders between art and design by presenting limited series of “functional sculptures”, i.e. new kinds of furniture, created as limited editions by the foremost designers ranging from Karl Lagerfeld to Vladimir Kagan and Joanna Grawunder. The idea of art acquisition for capital gains has always existed. For HNWI and UHNWI, the concept of profitability is entirely compatible with the love at first sight / instant emotion felt when confronted with a work of art. Taking an approach that they apply to their private residences, their offices, their business premises and potentially their yachts, they require support across the board. In addition to the usual apartments and mansions, entrepreneurs are investing in a broad range of high-end properties, with a view to asset diversification that provides a certain degree of profitability. It is estimated that around half of the buyers of historic properties (châteaux, manor houses, mansions, hunting estates, etc.) have a commercial activity in mind. Their intention is clear: to offset the purchase price and annual maintenance costs. Although it is a long-held belief that this is incompatible with the very idea of luxury real estate, the issue of profitability is no longer taboo. On the contrary, today it is a sign of financial and accounting foresight. From events - particularly weddings and seminars - to the creation of guest rooms, the idea is to justify the acquisition based on something other than a sudden infatuation resulting in an additional asset. It goes without saying that entrepreneurs and self-made men and women are those most likely to adopt this approach. With the appearance of a new clientèle made up of buyers aged between 40 and 50 from the world of start-ups who, after living for a long time between several countries, now seek a more stable arrangement. Another case in point is hunting estates, which in France make up a market that is as active as it is discreet. All of the great industrial and financial families feel it is obligatory to have one. Passion and reason therefore come together as hunting parties are traditionally a place for business discussions conducted far from prying eyes.